This book, The history of Brookmans Park School by Lilian Caras was first published in 1983, and revised in May 2000. It tells the story of the campaign for a primary school for Brookmans Park through to the opening. The 1944 Education Act placed new responsibilities on Local Education Authorities (LEA) by imposing a statutory duty to provide a school place for all children between the ages of 5 and 14 (soon to be 15). This situation would have been difficult enough to cope with in the short term, given the patchy nature of existing facilities especially for the over elevens, but couple it with the post World War Two rise in birth-rate and add the chronic shortage of skilled labour and materials (many of which, like steel, were still rationed), and it becomes obvious that the task of providing a place for all children was a monumental one, which would need careful planning. To this end, the Act also required Local Education Authorities to draw up a Development Plan after assessing the needs in their areas. To build a new school the LEA had to judge each case on its merit and draw up a list of priorities based on greatest educational need. This list was then submitted to the Ministry of Education for approval. This approval was based on the availability of labour and materials and specific criteria, such as high local birth rate or new housing developments, which created urgent need. The story of Brookmans Park Primary School gives a good example of how this process operated in reality. Before the school was built, children living in Brookmans Park were educated in private schools, such as Ithaca House, in church-run schools, such as St. Mary's for Girls, Water End or St. Mary's for Boys, Welham Green, or made the journey to Potters Bar to state-run schools, such as Little Heath. The need for a LEA school in Brookmans Park was evident as early as May 1945 when the Hatfield Primary Education Sub-Committee of the County Council discussed the possibility of taking over Moffats School, Moffats Lane. During the war Moffats House became a school for evacuee children. The Committee decided that due to the limited provision of primary schools in the area it "strongly recommended that, as a temporary measure, immediate steps be taken to adapt the premises for use as a Primary School." But at a later Schools Sub-Committee, it was reported that the District Education Officer had decided to close Moffats School on 19 October 1945 and the children (totalling 20) should be transferred to other schools "according to the wishes of parents." So the children had to make the journey to Little Heath and Potters Bar. This was presenting problems in 1946 since the 15 to 18 children attending there had to cross the Great North Road at Mymms Drive to get to the bus stop. The police and the School Attendance Officer were called to investigate the matter after fears for the safety of the children were morning when the children crossed "35 motor lorries, cars and buses had passed in each direction at an average speed of 30-35 mph". The conclusion drawn was that if care was taken the children were not running any undue risk. The timetable of the buses also created problems and the possibility of providing special transport was discussed in early 1947 when the number of children travelling to Little Heath School from Brookmans Park had risen to 49. The £2 a day estimate for providing a bus submitted by Messrs Brunt was not proceeded with since "no child lived more than two miles from the 'bus route". Instead the Hatfield District Education Committee agreed on 16 January 1947 that "every effort should be made to proceed with the new school at Brookmans Park". The recognition that the educational needs of Brookmans Park children could only be served by a purpose built school can be seen in correspondence between North Mymms Parish Council and Hertfordshire County Council. The minutes of the Parish Council of 14 January 1947 record that a letter from "Herts County Council with regard to Education facilities had been received" in reply to the Parish Council's letter "pointing out that the present facilities are far from satisfactory, especially in the Brookmans Park area." The reply stated: "the County Council is fully alive to the unsatisfactory nature of the school accommodation in the North Mymms area and hope as soon as practicable to put the matter right... In the Brookmans Park area negotiations are proceeding for a site on which to erect a Junior & Infants School. As soon as the site is secured it is hoped to erect some temporary premises to serve the younger children in the area until the school building programme can be undertaken in earnest." The site referred to is quoted in the Hertfordshire County Council, Education (Finance & General Purposes) Committee of 11 June 1946 as "site off George's Wood Road, for two form entry Junior and two form entry Infants' schools "with an approximate age range of eight. In May 1947 the Hertfordshire County Council Education, Primary Sub-Committee recommended that the new school should be included in the 1948-49 Primary School Building Programme to be submitted to the Ministry of Education for approval. "The Development Plan provides for a separate Junior and Infant School in Brookmans Park", but the Committee suggested that, "in order to meet the present difficulty a combined Junior and Infant School should be erected, the building at a later stage to be used for Infants only". This was in response to the Hatfield District Committee's request that "some provision for the younger children should be made as a matter of urgency", to prevent children of primary age having, "to travel considerable distances to school". The County Council decided to proceed with the purchase of the 7.25-acre site of "land north of George's Wood Road, adjoining the Drive, Brookmans Park Golf Course". In his covering letter to the Ministry, Mr Newsom, County Education Officer on 11 July 1947 accepted the Ministry's earlier circular that "only in a few cases can he accept a building programme for 1948"; but that a few cases were urgent "because of building development during the last year..... of the more urgent ones there can be no doubt that the following are of greatest importance". There were seven proposed schools an the list of the County's 1947 and 1948 Educational Building Programme, No. 4 was Brookmans Park J.M.I. Mr. Newsom went on to plead that the County's "fabrication of parts" had been arranged with co-operating factories on the basis of a steady flow of work an a long term basis, that "economy will result if the long term building plan is adopted". This refers to the County's revolutionary new standardised building system for schools, which is discussed later. The latter discusses what it calls "a major project of exceptional urgency, the erection of an instalment of a J.M.I. at Brookmans Park". "The estates at Brookmans Park ware built in the few years just prior to the outbreak of war and no school facilities of any kind have so far been provided by the Local Authority. The present population of Brookmans Park is 2,100 and eventually will reach 6,000. In the County Development Plan, three new schools are proposed, a two form entry Infants school and a two form entry Junior school, and a two form entry Secondary school to take senior children from Brookmans Park and the surrounding villages." "Parents in Brookmans Park are very concerned at the lack of school provisions for the younger children and have made repeated representations to the Authority to provide something at an early date. They argue that a town of two thousand persons should have at least a school for children of primary age." "At the moment some 60 to 70 Children attend small and unsatisfactory private schools in Brookmans Park, others whose parents cannot afford fees travel to Little Heath, and North Mymms, while a further group of 20 children is accommodated temporarily in the Middlesex County Schools at Patters Bar." "A site is being secured in George's Wood Road, on which eventually separate Junior and Infants schools will be erected. The authority considers that the situation could be met in the first instance by the erection as a first instalment, of four classrooms, assembly hall, lavatories and cloakroom of a Junior Mixed and Infants school." "I am directed therefore to ask for approval to this scheme so that the necessary statutory notice can be issued and the plans and estimates prepared." "No school in Brookmans Park other than the two private schools marked x. Miss Colman states that she is only carrying on a school at the request of the parents who do not wish their small children to walk the long distance to the North Mymms or Little Heath Schools. She will close as soon as a County Council school is provided." This letter refers to the situation of schools before the 1944 Education Act when children of primary and secondary age groups attended the same school and sometimes even shared the same classroom and teacher. After the Act all such arrangements were to cease and separate schools provided for each. Existing schools were to be "re-organised" into primary or secondary "modern", grammar or secondary technical schools. The Ministry of Education's reply was a pencilled "no case" on the County's letter of application. No explanation was offered. Meanwhile, conditions in the local schools were deteriorating. The number on the roll at Little Heath school in the autumn of 1947 rose to 181 prompting one member of the newly formed Mid-Herts Divisional Executive (Primary) Committee to complain about the overcrowding at Little Heath. "The Divisional Education Officer replied that either a hut would be erected at the side of the school or the senior children would be transferred to the new school in Hatfield". The Committee suggested that the Brookmans Park Primary School, off George's Wood Road, should be included in the 1948 Building Programme. To this end the Hertfordshire County Council Education (Finance & General Purposes Sub-Committee) again discussed the case for a school in Brookmans Park at their meeting of 2 February 1948. They argued the case as justified on the grounds that: "There is no primary school in Brookmans Park, and the children either attend private schools or travel to Little Heath, Potters Bar, or North Mymms. A house-to-house survey by the School Attendance Officer shows that there are 316 children living in Brookmans Park, of these if a primary school were erected in 1949, 130 would attend: in 1950, 147 would attend: in 1951, 150 would attend: in 1952, 183 would attend." The Committee agreed that Brookmans Park Primary School be included in the Educational Building Programme, 1949. On 19 April 1948, Mr Newsom, the County Education Officer, wrote again to the Ministry of Education for approval, this time in somewhat impassioned terms. "The appalling conditions in which children are being taught at the moment - a state of affairs which only a Dickens could adequately describe - not only in the County Council schools at Little Wymondly and the C.E. School at Stevenage, but also in an area like Brookmans Park where no maintained school is available and "front parlour" Dame schools have to be resorted to by parents who as ratepayers and taxpayers have been clamouring for a County Council school for many years". This time more discussion inside the Ministry took place. One memorandum reads: "There is no normal justification for a school at Brookmans Park, and we refused to put it in the S.T. [Short Term] Programme. The justification is that nearly all the children in the area attend private sch'ls at present but would attend a county sch'l if one were built. It is estimated that 150 chi. [children] would attend if the sch'l were built by 1951. We shall need to look very closely into this case but I don't think we can tolerate a situation indefinitely where most of the chi. in an area attend private schools. I think we might tentatively include in the 1949 Programme the Authority's proposal for an instalment of 4 classrooms and Hall". There were twenty schools on the County Council's list Educational Building Programme 1949. The Ministry personnel discussed other aspects of the request to build. "Experience of the last two years has shown that Herts are capable of handling 11 major projects in one year; it remains to be seen whether we can feed steel to 11 projects... HMI [Her Majesty's Inspector] may wish to suggest revisions in the light of his on-the-spot knowledge". The file is littered with requests from the County Architect for the release of steel to build schools. The County Education Officer also wrote on 8 July 1949 stating that the manufacturer was complaining of the shortage of steel; that it takes from order at the rolling mills 6-9 months for delivery and asking if the Ministry can speed the process up. HMI [Her Majesty's Inspector] replied on 27 May 1948 to the earlier request for on-the-spot information that "HCC can handle more than 11 projects in one year". The Ministry's decision was that "Hatfield Brookmans Park" should be placed on the Reserve List 1949; no new building could take place although planning procedures should be carried out "to the point at which they can be put in hand without undue delay". Meanwhile, another hitch had arisen. This concerned the site for the school. A report was placed before the Education (Finance & General Purposes) Committee of 25 October 1948 regarding the acquisition of the George's Wood Road site. "Before negotiations for the purchase of this land could proceed very far it became evident that the proposed development in the Brookmans Park area was to be considerably restricted by the Ministry of Town and Country Planning. Consultations took place with the Hatfield Rural District Council and the Ministry, and it was clear that the George's Wood Road site would, under the new town planning, be detached from the main building area and it was necessary to abandon that site and to select a new one that would be nearer to the existing houses. Having regard also to the severe limitations to the Hatfield Rural District Council's building proposals it was no longer necessary to make provision for two Primary Schools necessitating a site of some 7.25 acres as the population, as outlined by the Ministry of Town and Country Planning, would be covered by the erection of one combined J.M. & I. School with a 3.5 acre site. A suitable site has been selected and has been approved by the appropriate Authorities, and the authority of the Committee is now requested to proceed with its purchase". This was given. The above discussion was similar to an earlier one held at the Mid-Herts Divisional Executive's Primary Committee of 5 October 1948. The Committee was "asked to consider a site for the primary school near the station since the Ministry of Town and Country Planning informed the committee that development in the Brookmans Park area was to be restricted. In view of this, the site arranged in George's Wood Road would be on the edge of the building area and some of the children would have a considerable distance to walk. The suggested site was a smaller one and was sufficient for a one form entry Junior Mixed and Infants School of 3.5 acres. The Committee recommended, "That the site in Bradmore Way, Brookmans Park of 3.5 acres should be acquired for a one form entry Junior Mixed & Infants School". The reason for the change in the size of the proposed school and the site relates to the concurrent discussions regarding the future size of Brookmans Park itself. In 1938 the population of Brookmans Park was 2000. Professor Abercrombie's "Greater London Plan" proposed that the population should be restricted to 2500 in view of its position inside the 'Green Belt' around London. The Central Advisory Committee for London Regional Planning recommended that 4,000 was the optimum population. This was opposed to the Mid-West Herts Joint Planning Committee's 1946 suggestion of 7,500. The Development Plan for Education that was drawn up by Hertfordshire County Council Mid-Herts Divisional Executive had worked on a population projection of 6,000 as has been shown. The Development Plan was drawn up before the Town and Country Planning Act 1947 became law, but was not approved by the Ministry of Education until 30 June 1949. Hertfordshire County Council Town Planning Committee discussed the future population of Brookmans Park on 10 January 1947. The figure of 4,000 was accepted by Hatfield Rural District Council, thus a smaller primary school and a change of site were required. The population of Brookmans Park today is approximately 4,000 (based on the Electoral Roll 1981). Despite such setbacks the fight for a new school (albeit smaller) continued. In February 1949 the Minister of Education asked Hertfordshire County Council to submit an Educational Building Programme for 1950-54. Hertfordshire County Council sent a list on 30 March 1949, which included Brookmans Park. A letter followed the list on 12 April 1949 from Hertfordshire County Council stating "we have today received information that a private school, Ithaca House, is closing down at the end of the Summer Term this year. This will mean that.33 more children require school accommodation. We shall possibly be able to make arrangements to crowd the children into Little Heath or make arrangements with North Mymms for one or two to go there". This was indeed the case. The Mid-Herts Divisional Executive Primary Sub-Committee of 14 June 1949 was informed that as a result of the closure of Ithaca House School in July 1949 "several parents had applied for their children to attend County Council schools. In the main these children were going to attend Little Heath C.P. School. Arrangements were at present being made for transport by contract from the area of Little Heath school daily." Finally, at the Hertfordshire County Council Education Primary Sub-Committee on 3 October 1949, it was reported that the Minister had agreed to include Brookmans Park Junior & Infants School in the Building Programme 1950. The school was to be built in two instalments consisting of the first Instalment of four Junior classrooms, assembly hall and kitchen followed by the second instalment of three Infant classrooms, a further Junior classroom and dining room. The estimate for the whole school was £58,672; £51,000 for the buildings and the rest for furniture and fittings, site works, roads, paving, layout of grounds and professional fees. The first instalment was estimated at £32,300 - the cost per head or place being £160. The site of the new school in Bradmore Way consisted of two rectangular parcels of undeveloped building land. £115 plus fees was paid to Messrs Dearmans Ltd. of Knebworth for one piece totalling 1.15 acres. The second piece of 2.31 acres was bought by a compulsory purchase order from Mr John White of Birmingham (the chief developer of Brookmans Park) for £231 plus fees. The County Council undertook to bear half the cost of making up Peplins Way until it was taken over by the Highway Authority. A vacant plot of land between 35 and 41 Bradmore Way totalling 0.315 acres was purchased as an access strip to the site from the Trustees of the late Mr L E. Collingham for £100 plus fees. The County Council would meet Road charges for the 90-foot frontage in Bradmore Way. A Development Charge of £2,290 was paid to the Central Land Board. Standard steel frame Messrs Hills (West Bromwich) Ltd. Heating - Messrs Weatherfoil Heating Systems Ltd. Roof blocks - Messrs Dow-Mac (products) Ltd., and Messrs Hills (West Bromwich) Ltd.
Wall Blocks - Messrs Orlit Ltd., and Messrs Hills (West Bromwich) Ltd.
Windows and doors - Messrs. Hills (West Bromwich) Ltd.
A tender of £693 submitted by Messrs Doe was accepted for the layout of grounds. Ekins & Co Ltd of Hertford carried out the building work. When the school first accepted pupils in the autumn of 1951, 110 children aged between 5 and 11 were on the roll, although only 105 ware present on the first day. Mr A W Harris was the first headmaster. He had a staff of four teachers: Mr. C H Clifford, Miss M Raine, Mrs M Clifford and Mrs J Howell. The School, consisting of four classrooms, was officially opened on Saturday 17 May 1952 by Mrs Beryl Maudling, wife of Mr Reginald Maudling, M.P. for Barnet and Parliamentary Secretary, Ministry of Civil Aviation. By October 1952, the Mid-Herts Divisional Executive Primary Committee was already discussing overcrowding in the new school. A new class of 22 children that term had had to be started in the staff room. 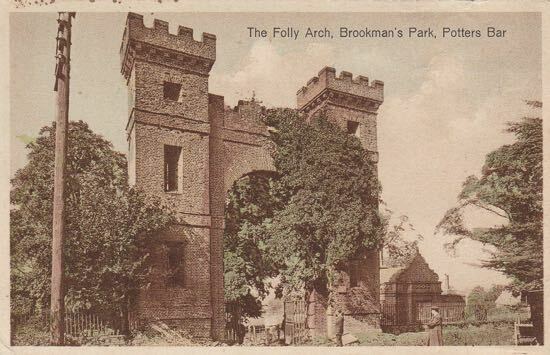 The minutes of 15 October 1952 state "Brookmans Park is being steadily developed by Private licence. There is no Rural District Council or Development Corporation building. It will soon no longer be possible to accommodate all the children of the area in this school and by 1955 the position will be acute." The Committee recommended that the final instalment of the school be included in the 1954 building programme. The building of the second instalment did not go through quickly or smoothly however. On 13 April 1953 the Hertfordshire County Council Education Committee discussed the restrictions imposed by the Ministry of Education on Minor Capital Works, the main Building Programme having already been considerably curtailed. There was to be no early start to the completion of Brookmans Park Primary School, therefore. Instead, the addition of one extra classroom at a cost of £1.500 was approved. On 1 February 1954 the Education Committee approved a request to accept a single tender to build the new classroom at a cost of £4,000. This tender was submitted by Universal Housing Co Ltd of Rickmansworth. The reason given was that "This building will be a prototype for future major works and will incorporate developments which have taken place in the design and manufacture of the light steel frame, with the object of making it a more flexible unit for planning purposes and of reducing its cost." The company also had the labour available. The work started in December 1953. The need for the new classroom was obvious by September 1953 when, with 192 on the roll, one class had to be started in the entrance hall. By the summer of 1954 the roll had risen to 233 and a class was held in the assembly hall as well. By the autumn, despite the new classroom being ready for occupation, a class had to be held in a properly curtained-off section of the entrance hall - a situation that was to continue on and off for over ten years. But good news was at hand. In 1955, the Ministry of Education removed restrictions on the total amount spent by Local Education Authorities on Minor Capital. Works, provided no project exceeded £10,000. £10,000 was allocated for additional classrooms at Brookmans Park School in the 1955-56 Minor Capital Works Programme. But, by January 1956, the Chancellor of the Exchequer had asked all Local Authorities to review their Capital expenditure. The Hertfordshire County Council Education Committed cut their spending requirements in response to Ministry of Education requests. Fortunately, Brookmans Park's £10,000 allocation remained in the 1955-56 Programme. Thus Crook Bros. of Ware built the major part of the second instalment of the school, two classrooms and dining room. The work started in 1956. By this time there were 290 on the roll to be accommodated in five classrooms, the entrance hall and assembly hall - the assembly hall doubling as a dining room for school dinners. This compares today with a similar number of children on the roll, but with twice the number of classrooms plus the dining room. Standards have indeed improved. Meanwhile, the close interest and support of parents for the schools which still exists today, was very much in evidence in 1958. Three national newspapers, The Star (12 March 1958), The Evening News (7 May 1958) and The Standard (11 March 1958) all reported the efforts of parents not only to raise the £500 necessary but also actually to build a swimming pool themselves. The newspapers recorded that a parent, Mr T A King, designed the pool, which it was hoped would be ready by the summer term 1958. "It is estimated that the numbers an roll from now an will fluctuate between approximately 280 in the September term and 320 in the summer term. " "This would therefore demand eight classrooms. The school has seven classrooms, Hall and Dining Room. At the moment, both the Hall and the entrance passage are used as classrooms. Given eight classrooms, the school could be so organised that it would not be necessary to use the Hall and entrance passage. The Managers therefore recommend that an additional classroom be provided in a Minor Works Programme". On 18 February 1960 the Committee recommended that as a "matter of urgency" two additional classrooms should be included in the 1961-63 Minor Works Programme. Drawings ware prepared in 1961 by architects, Welch & Lander of Portman Square, London. "The intake into this school now averages fifty children a year and provision must be made on a permanent basis for age groups of this size. At present the school contains seven classrooms, it has a summer term roll of 350; three classes are having to be hold in the staff room and corridor spaces." Plans have been prepared for a two-class extension and the estimated cost amounts to £11,000. Amounts of £1,282 for professional fees and £803 for furniture and equipment would also be needed. The Committee recommended all three amounts of expenditure. In September 1961, the Minister of Education again imposed severe spending restrictions, this time on the Minor Capital Programme 1961-63. By December 1961 it was clear to the County that they were in danger of exceeding their 1961-63 allocation. They were forced to prune their programme. Fortunately, once again, the two new classrooms at Brookmans Park Primary escaped the cuts. Work started in 1961 by the builders Crambe & Dean of Hatfield. The classrooms were used for the first time in April 1962. Crook Bros. of Ware built the last addition to the school in 1966 at a cost of £6,500. The architects were Garald Lacoste & Partners of George Street, W.l. Thus the end came to a struggle which lasted twenty years. Despite the length of time it took to complete Brookmans Park Primary School, Hertfordshire County Council's post-war school building programme as a whole was considered a great success. The 1944 Education Act had imposed great pressures on Local Education Authorities to improve on pre-war school facilities. The post-war rise in birth rates increased these pressures, especially in Counties such as Hertfordshire, which was on the edge of the 'Green Belt' and had to cope with new and expanding towns such as Stevenage, Hatfield and Welwyn Garden City. In 1947 the County Council set themselves the task of building fifty new primary schools in five years. Since the traditional materials and skilled labour were in short supply, a new system of building was required. Hertfordshire County Council pioneered a system of standardised prefabricated parts, which could be constructed in factories and only assembled on site. The first system was based on an 8'3" planning and structural grid using a steel frame. Once the frame was erected, the walls, doors and windows were merely bolted on. The design and layout of the school was also new. They were to be small in scale for children to relate to rather than for adults. The County built 180 schools using this system. One of the biggest advantages of the new system was its speed of construction. and most of this was saved on the foundations. A solid foundation was not necessary for the new system. Instead, at the base of each vertical steel support of the structural frame, a concrete pad only was needed as a foundation. Thus the man-days necessary to build a new school were reduced from 7,448 for a traditionally built school to 4,3781 for the new steel grid system school. Thus it took only nine months from start to occupation of the 160 place Brookmans Park School. The new designs were not without their detractors, however. The amount of glass used in them was a cause of concern. One of the objectives of the new designs was to incorporate as much natural light and ventilation as possible in them. This resulted in the use, for the first time, of floor to ceiling glass. At their meeting on 8 June 1951 the Hertfordshire Association of Parish Councils resolved to write to Hertfordshire County Council stating that "where glass is fixed at, or near, the ground level in the new type of County Council School the Hertfordshire County Council be asked to provide some form of protection on both sides to the height of three feet, as, without such safeguard, it is considered to be dangerous to children". One representative at the meeting stated that "I am not criticising the new schools in any carping fashion, but there should be better provision made for the safety of the children. They are the best schools so far as light and space and have excellent accommodation and amenities." The strength of glass at low levels in these schools was up-graded in due course. The architect's problem today, over the floor to ceiling glass, is not one of safety, but one of conservation of heat. Various methods have been tried in recent years including securing opening windows with screws and fixing door closers to all external doors. 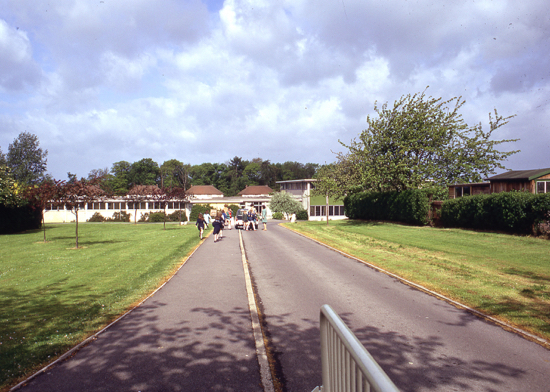 Brookmans Park School itself attracted its share of local protest when it was built. 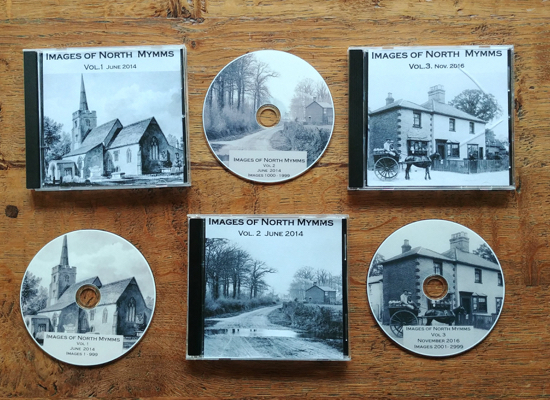 Both the North Mymms Parish Council and the North Mymms Ratepayers Association were reported in national newspapers as protesting against the colour scheme used in the school. This was specifically directed at the panels of red, yellow and blue on the exterior of the school building. One objector said "Is it necessary to paint a school to look like a lido?... if the schools were paid for by the ratepayers, the latter should have some say in such a matter as the monstrosity of the school colour scheme". Another objector claimed that it was a requirement of the Ministry of Local Government and Planning that new buildings should be in conformity with their surroundings; yet at Brookmans Park they were painting a school in colours which in no way harmonised with anything in the neighbourhood". The Ratepayers Association said that the colours "cause agony for the people who have to lock at them every day". The colour scheme today is yellow, blue and green; the red has gone. At the first external redecoration of the school, after Mr Sidnell became head in 1972, he chose green for the assembly Hall panels instead of the original red. Despite such minor problems, the primary children of Hertfordshire did get their new schools. In its first survey after the 1944 Act the County found half the schools still in use were built before the 1902 Education Act. By 1954 the County could boast that one third of its younger children attended brand new schools. This was some achievement. Brookmans Park Primary School is an excellent example of the vision of the planners at County Hall and despite the unavoidable financial restrictions imposed by central government (given the terrible post-war economic situation at the time) the village can be proud of the building provision for their children. After Mr John Sidnell took early retirement in 1983, Mr Robert (Bob) Bright was acting Headteacher for a short time before the arrival of Mr Peter Evans in 1984. Since 1983, the building provision at Brookmans Park School has continued to be improved and developed, most notably, in 1998, with the opening of a new purpose-built Nursery School. Built at a cost of £80,000, this large prefabricated building was delivered in six sections and put into place by a giant crane in the autumn of 1997 - requiring the temporary removal of the School gates. The funding for the Nursery School building came from the School's own budget and savings. Initially the new building catered for twenty-eight children with plans to increase the number of places over time. The first children arrived on 7 January 1998 while the actress, Ms Dawn French, conducted the official opening on 9 February 1998. Mr. J. Sidnell; Dr. P. Kingsford; Mr. A. R. Tuck Divisional Education Officer; HCC Education Department; Mrs. Had of Herts.Library Service, Herts. Local Studios Collection; Mr. Barley of HCC Architects Department; the HCC Architect's Library; HCC County Record Office; The Public Record Office, Kew; British Library Newspaper Collection; North Mymms Parish Council; Mrs. Pauline Warren; Mrs. Rita Robertson; Mr. and Mrs. Partridge and Miss Raine. HCC EducatioQ Committee 19-6-50 item 31; 30-10-50 item 37; 22-1-5 items 7 and 26 12-11-51 item 30; 23-6-52 item 40; 13-4-53 item 2E; 22-6-5: item 29 9-11-63 item 30; 1-2-64 item 273 12-4-54 item 18; 7-11-55 item 63; 23-1-55 item 7; 21-10-57 item 57; 7-11-55 item 7. HCC Education (Finance & General Purposes Sub-Committee) 11-6-46 item 107; 13-10-47 item 230; 2-2-48 item 21; 25-10-48 item 273; 30-5-60 items 151 and 152; 19-6-61 item 242; 16-10-61 items 215 and 216; 12-3-62 item 113. HCC Education (Primary Sub-Committee) 30-C--47 items 13 and 14; 4-10-48 item 15; 3-10-49 item 11; 3-10-49 item 27; 2-1 50 item 24; 2-1-50 item 26; 15-5-61 items 34, 35, 36 and 37; 18-9-61 item 6; 11- - .1 item 35; 17-9-62 items 20 and 21. Hetfiold Education Committee Primary Sub-Committee 17-5-45; Education Finance Sub-Committee 19-7-45 item 3; Schools Sub-Committee 20-9-45 item 31; 19-10-45; 21-3-46 item 94; 13-6-46 item 46/4; 18-7-46 item 46/17; 19-9-46 item 46/36; 17-10-46 item 46/46; 21-11-46 item 46/59; 16-1-47 item 46/68; 20-3-47 item 46/97; 19-E-47 item 46/100 This evolved into the Mid-Herts Divisional Executive whose first meeting was on 21-10-47:-HCC, MHDE (Primary Sub-Committee) 21-10-47 items 21 and 24; 20-1-48 item 46(a); 5-10-48 items 144, 145 and 149(a); 14-6-49 item 14; 7-3-50 item 29; 3-5-51 item 67; 25-2-52 item 78 and 79; 15-10-52 item 7; 19-11-53 item 12; 19-11-54 item 6; 25-2-55 item 18; 5-6-56 item 28; 15-11-57 item 9; 20-2-59 item 18; 14-5-59 item 22(c); 19-11-59 item 5; 18-2-60 Item 9; 2-3-61 item 2. HCC Education Development Plan (as approved by the Ministry of Education 30-6-49). Public Record Office File ED 154/47 Major Building Projects, Hertfordshire Local Education Authority 1946-49 Transrripts/Translations of Crown-copyright records in the Public Record Office appear by permission of the Controller of H.M. Stationery Office. Web editor's note: The photograph of the entrance to Brookmans Park Primary school in the 1980s (image courtesy of the former North Mymms Local History Society), didn't appear in the original document by Lilian Caras, but has been added for cosmetic reasons.